Learn effective animal handling and restraint techniques! 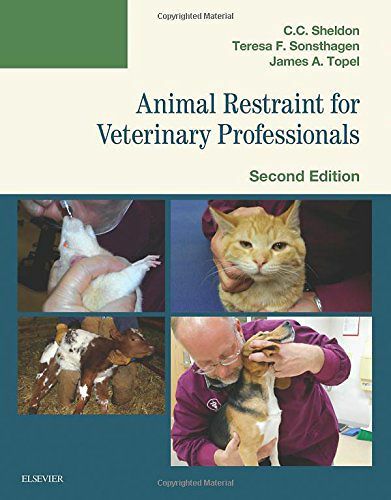 Animal Restraint for Veterinary Professionals, 2nd Edition describes each procedure with two to eight photos showing the exact steps needed to achieve safe restraint. A chapter is devoted to each domestic animal species, including cats, dogs, cattle, horses, sheep, goats, pigs, rabbits, rodents, ferrets, and birds. New to this edition are updated photographs showing the latest and greatest restraint procedures for all types of animals. Written by expert veterinary technician educators C.C. Sheldon, Teresa Sonsthagen, and James Topel, this practical guide also includes a chapter on knot tying!